This month Whiff of Joy will definitely get you into the Christmas spirit with a gorgeous new release of Christmas images and products! 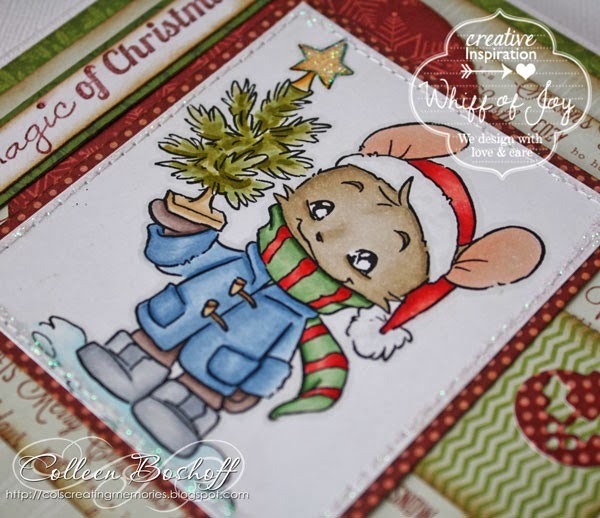 First up, I have 'Henry with Christmas Tree' and he is so sweet and so lovable! Another favourite WOJ Die-Light is this new 'Christmas Baubles', so delicate and elegant, perfect for cards (this was a new release in September) and is a set of 3 Die-Lights. Papers are Teresa Collins 'Christmas Cottage', the sentiment is WOJ 'This is December', Kaisercraft pearls and finished off with a touch of Stickles. I will be back with some more previews of this fabulous release and don't forget WOJ's blog hop on the 29th October, I hope you can join us! 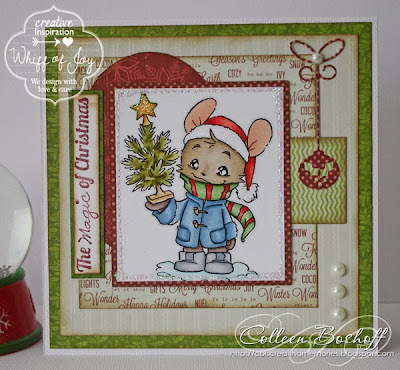 A very cute image, tahts a really wonerfull card creation, love it! Cute as ever, great CAS design. Whiff of Joy October Blog Hop!